As far as I’m concerned, Claudia Gray has already proven herself capable of writing a damn good Star Wars novel, with fantastic examples like Lost Stars and Bloodline. So when I found out she was penning a new YA novel about Leia, it was automatically added to my must-read list. The book, titled Leia, Princess of Alderaan, is a look back at the titular character’s early life as a daughter and heir to the throne of one of the most cultured, beautiful, and prosperous core worlds in the galaxy. Before she became a leader of the Rebel Alliance, before she became burdened by the guilt and grief that resulted from the destruction of her home planet, the iconic Princess Leia was vivacious and high-spirited young girl who faced every challenge with a determination to succeed. At sixteen years old, having just officially declared her royal service to Alderaan, Leia is preparing for a series of tests that will prove her worth in the areas of body, mind, and heart. The trials will involve grueling survival courses. Intense political training. Charity missions and relief efforts. Leia is resolved to master them all, and to make her adoptive parents proud. Unfortunately though, her mother Breha and father Bail Organa appear to be distracted by other matters lately—like throwing dinner parties and other social gatherings with their allies in the Senate. Frustrated by their unwillingness to let her in on their activities, Leia decides to conduct her own investigations, and in doing so, unwittingly uncovers a network of rebel cells and activities operating right under the nose of the Empire’s leaders. And the greatest shock? It looks as if her parents—her peace-loving, diplomatic parents—are at the heart of it all. Realizing that they cannot shield their daughter from the truth anymore, Breha and Bail come clean, leaving Leia with the first of many hard choices she will make in her long and storied life. Will she embrace her parents’ work and help fight the Empire, or focus her efforts on protecting the citizens of Alderaan, her people that she has sworn to serve? Needless to say, this a book that Leia fans will certainly not want to miss. On the timeline, it takes place in the Star Wars: Rebels era in the period leading up to the events of Rogue One and A New Hope. 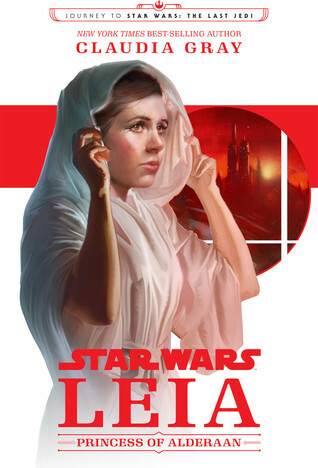 It is a formative year for Leia Organa, in which she will experience many firsts, including the first time she makes an appearance before Alderaan in an official capacity, the first time she is exposed directly to the harsh conditions of the Empire, the first time she hears about the rebellion, and—most unexpected of all—the first time she falls in love. The lessons she learns from her achievements (and mistakes) here will end up shaping the rest of her life. And as Claudia Gray has already written a book about Leia, she knows the character inside out and I honestly can’t imagine any other top-class author writing about the Alderaanian princess as well as she does. Despite being a young adult novel, its themes are mature and serious enough that this can be enjoyed by Star Wars fans of all ages, not to mention the compelling plot and rich characters that held my attention from beginning to end. I enjoyed seeing this rare version of Leia, one that is still very much innocent and naïve, though as always, her heart is in the right place. She doesn’t realize what the Empire is capable of yet, and as such, her inexperience leads her to play dangerous games and fall into traps. This story, however, is also bigger than Leia, focusing on the efforts of Breha, Bail, Mon Mothma and the other secret allies in the Senate to fight back against the Empire. Not only do we get a lot of background information into Leia’s origins, we also get a wealth of history about how her resistance force started. Lore buffs will also delight in the many references to all the movies, with Easter Eggs that go back even to the prequel trilogy. Those paying attention will notice a couple of familiar faces making surprise cameos, and some of the mentions made about Leia’s past in the films are given context as well. And because technically this novel falls under the umbrella of Journey to Star Wars: The Last Jedi, there may be some light foreshadowing related to Leia’s role in the upcoming movie. Bail Organa’s work in establishing the rebel network has been touched upon in many stories including this one, and there are perhaps hints here as to how his daughter will continue his legacy in the places he used to spend his time. All in all, Claudia Gray is fast becoming one of my favorite Star Wars authors and I hope she will write many more. Leia, Princess of Alderaan is another important piece in the new canon, perfectly encapsulating the personality and spirit of one of the most beloved characters in geek fandom as she comes of age during a tumultuous time. If you love Star Wars and if you love Leia, you will need to read this book—period. Audiobook Comments: Saskia Maarleveld may be a new narrator to me, but her credits include years of audiobook narrating and voice-over work, and this impressive amount of experience is apparent in her performance. She was a fine choice of reader for this audiobook, and I thought she did a fantastic job portraying young Leia. I was seriously wondering about this one, after reading Bloodline and Lost Stars. I thought it might be geared a little younger so I was hesitating, but sounds like that’s not the case. And of course history on the nascent rebellion and the lore stuff is always welcome. I agree with you- I hope Claudia Gray keeps writing Star Wars! This is the kind of unexplored-corner-filler that I might love to read, touching on a topic that IMHO needed to be explored, considering the kind of ground-breaking character Leia was in the first trilogy: when those movies came out, there were next to none female heroines in SF, and Leia was indeed the progenitor of them all. Younger/teen Leia has been getting a lot of attention lately, from an episode in Star Wars Rebels to a whole book on her pre-original trilogy days. I agree, it’s a fascinating part of her life and I’m glad more writers are looking to explore it! Super excited about this one and it looks like my excitement is justified! Since you’ve read both do you think there is a reason too read this one before Bloodline since the events here would come before the events of Bloodline? Looking forward to reading both, whatever the order! Sounds great – it’s probably not for me but I can appreciate how much others will enjoy this.